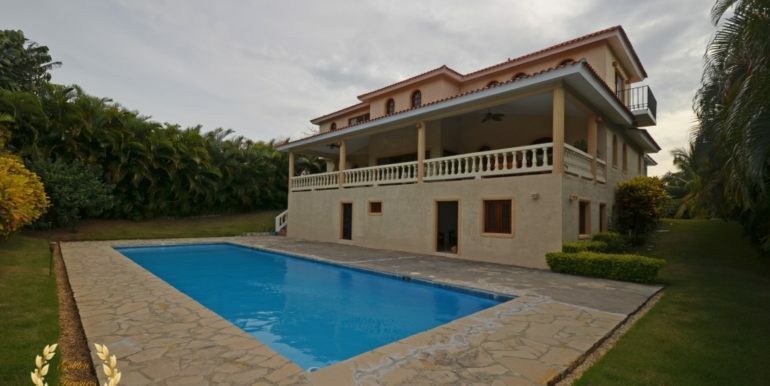 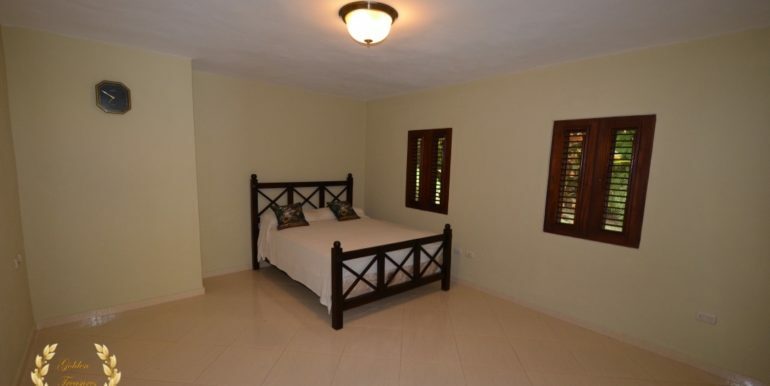 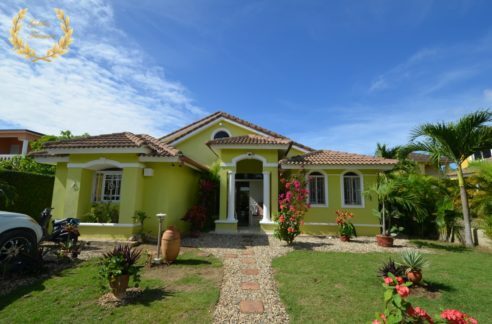 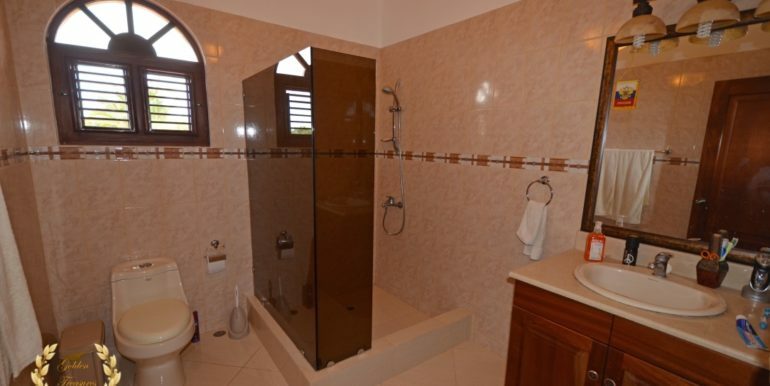 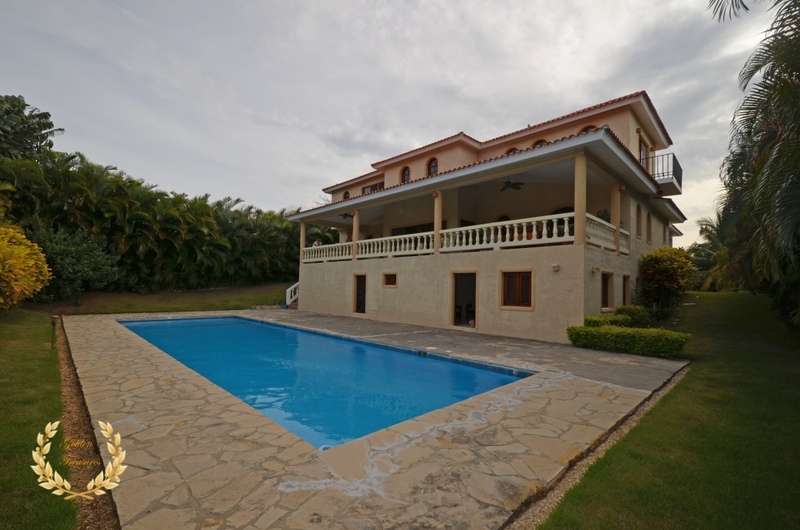 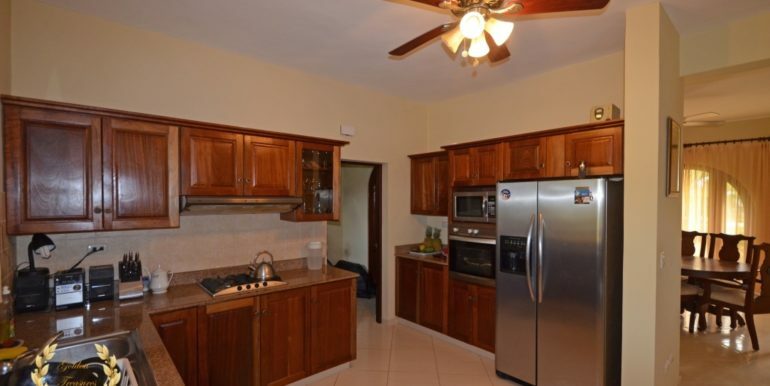 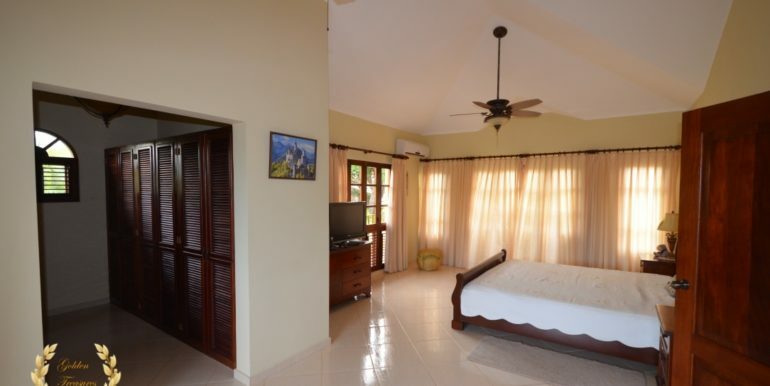 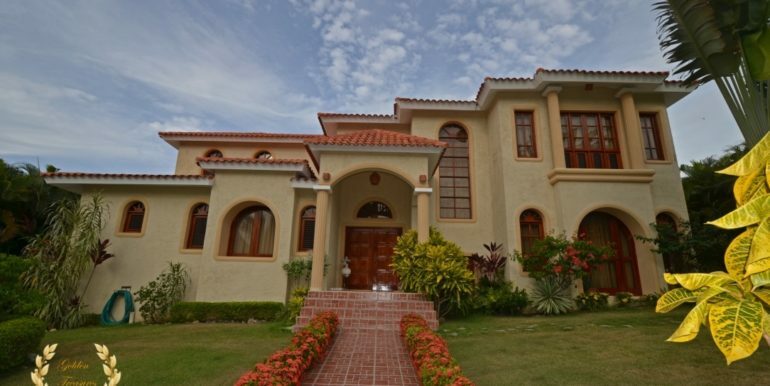 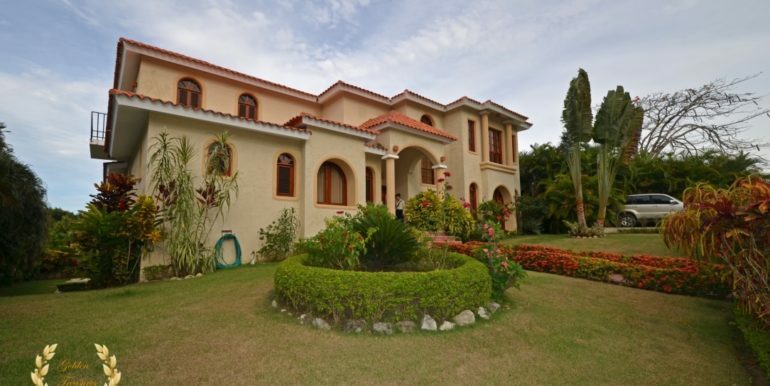 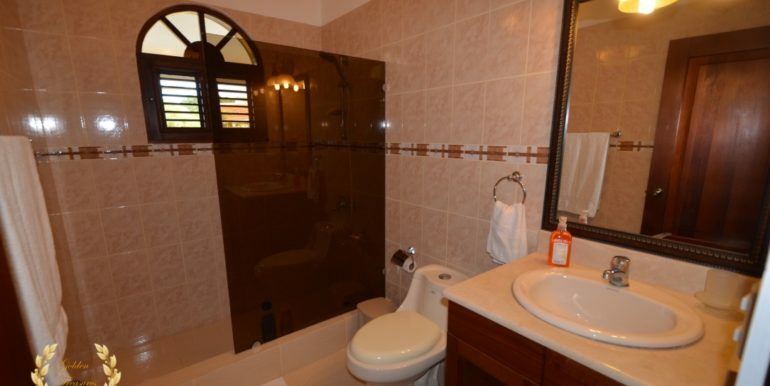 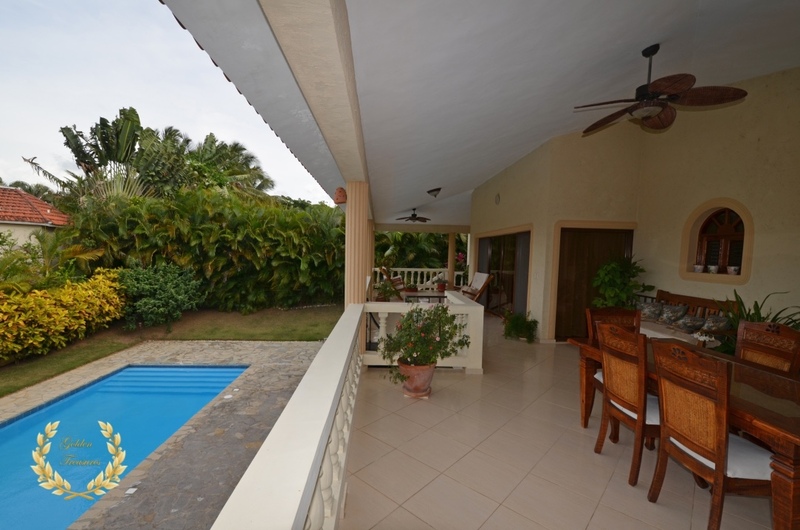 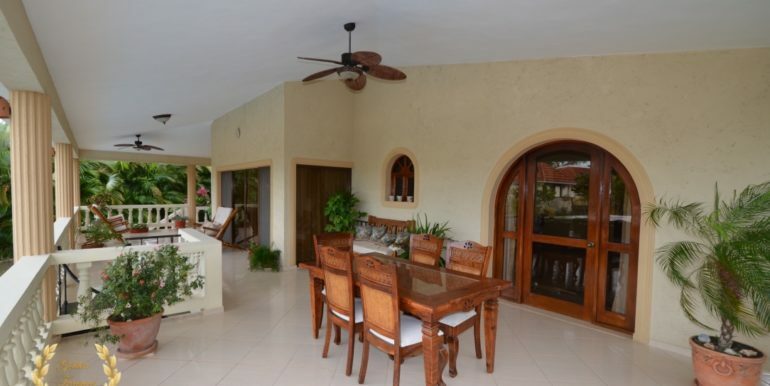 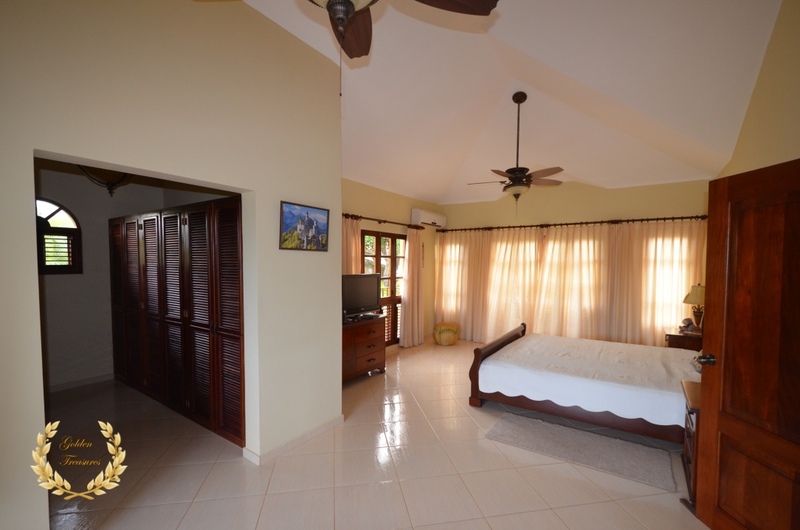 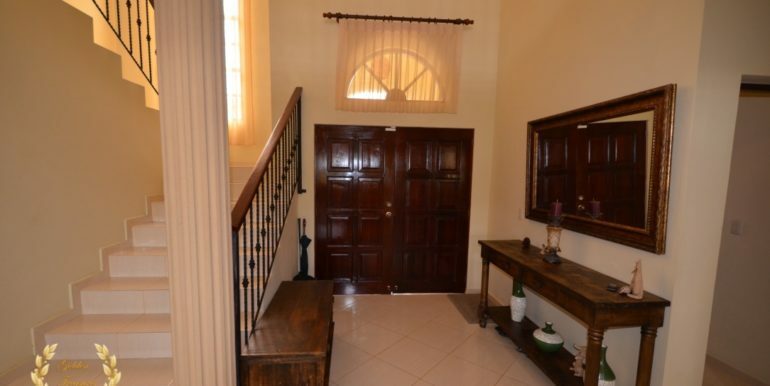 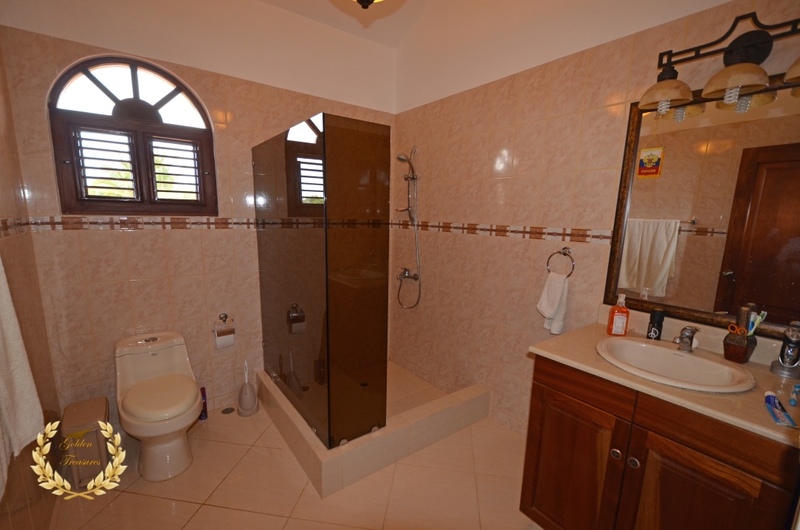 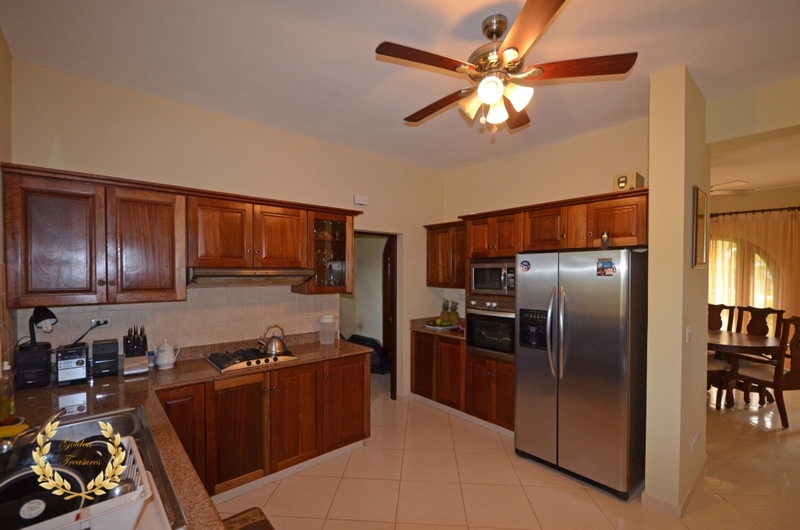 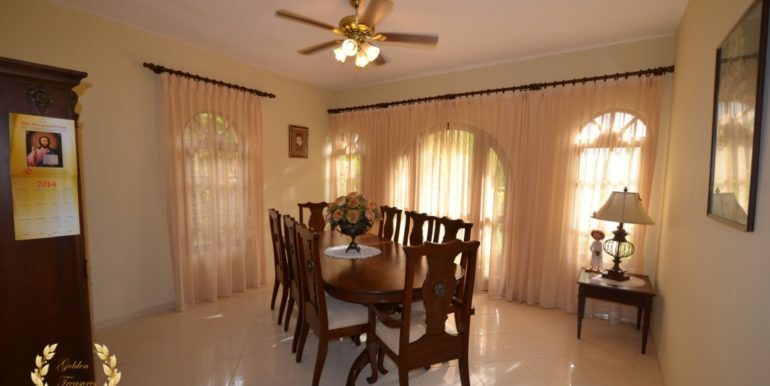 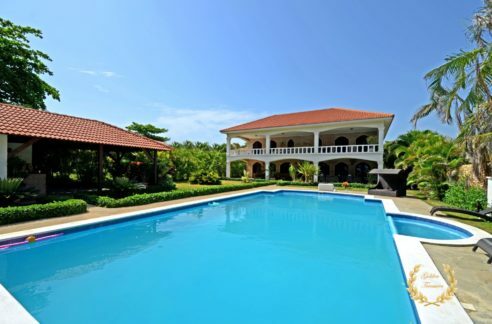 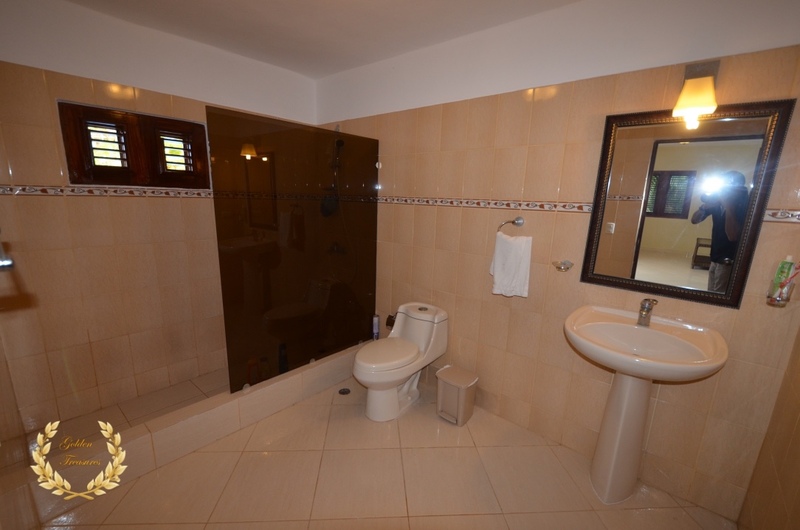 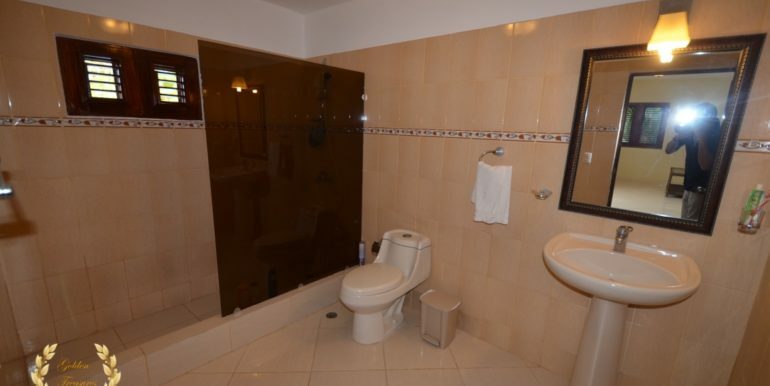 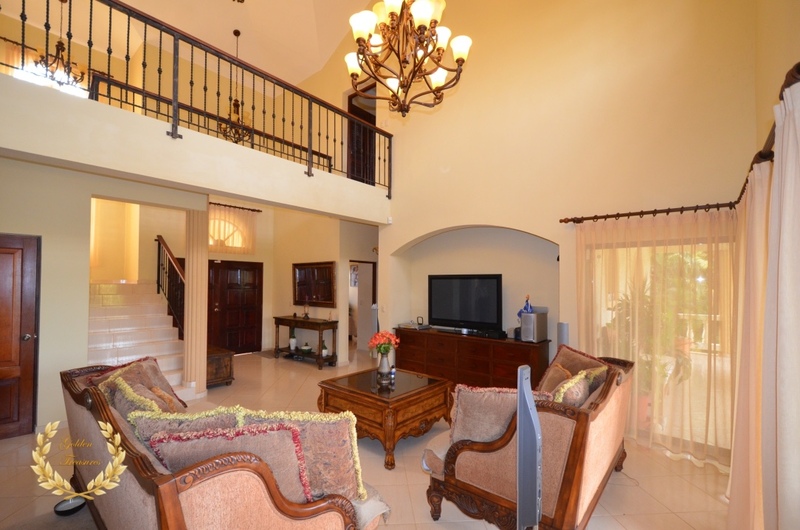 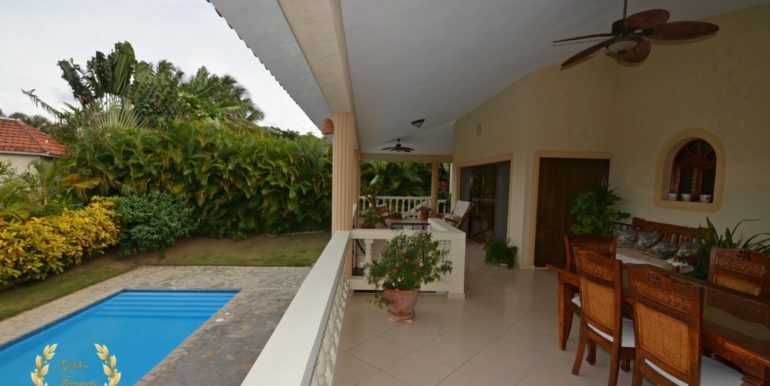 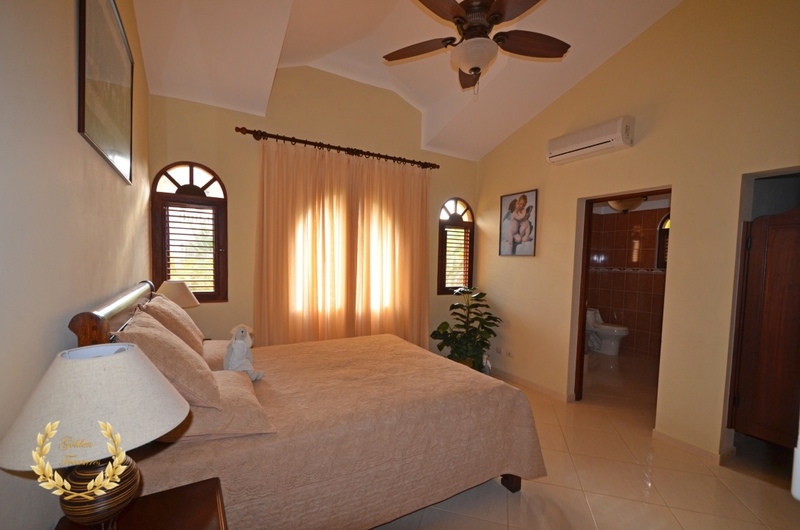 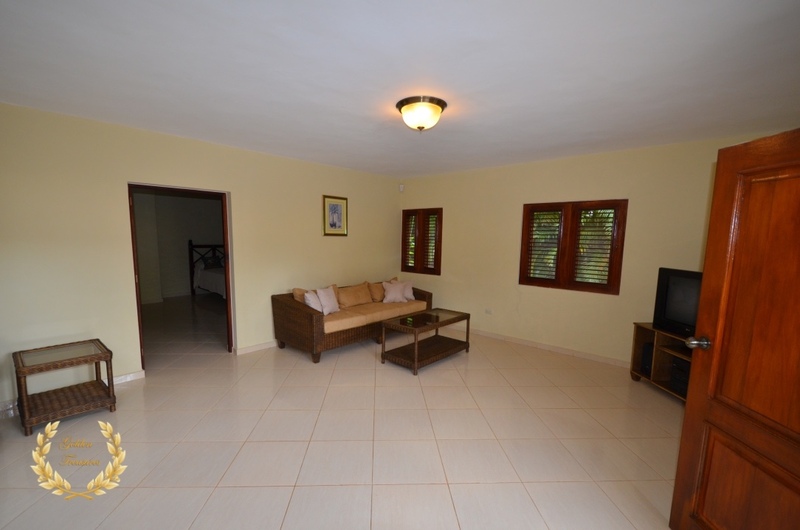 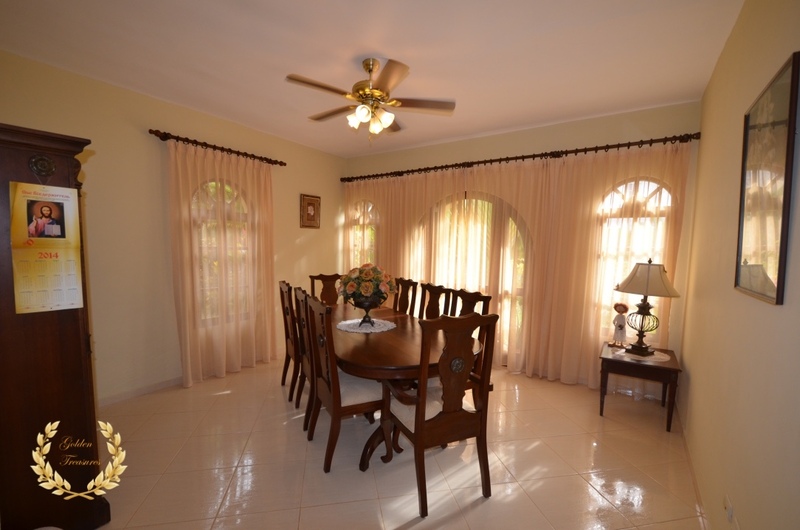 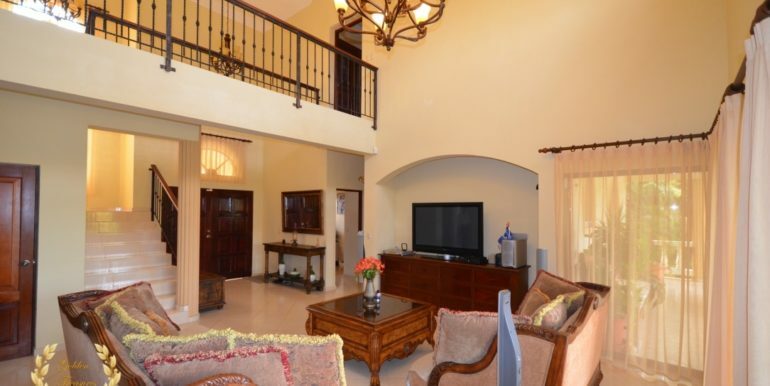 This magnificent villa for sale is located in a gated community with beach access in Sosua. 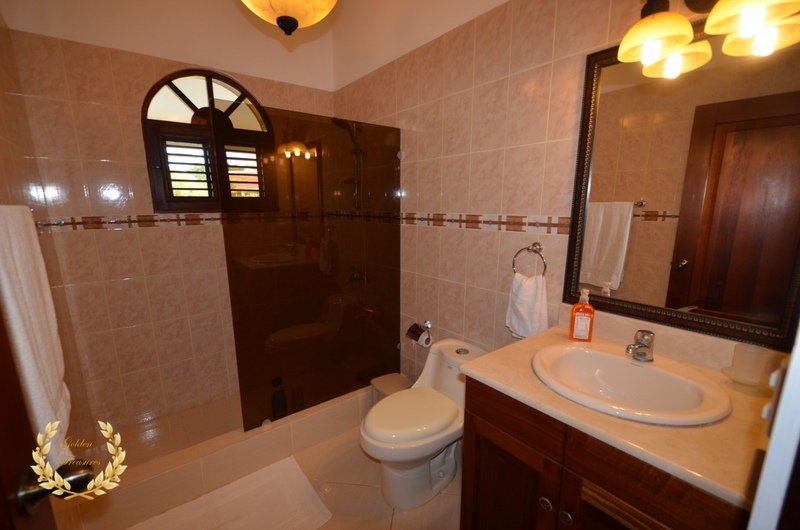 It has 5 bedrooms and 5 bathrooms distributed among 3 levels, with one large studio like apartment in the basement level. 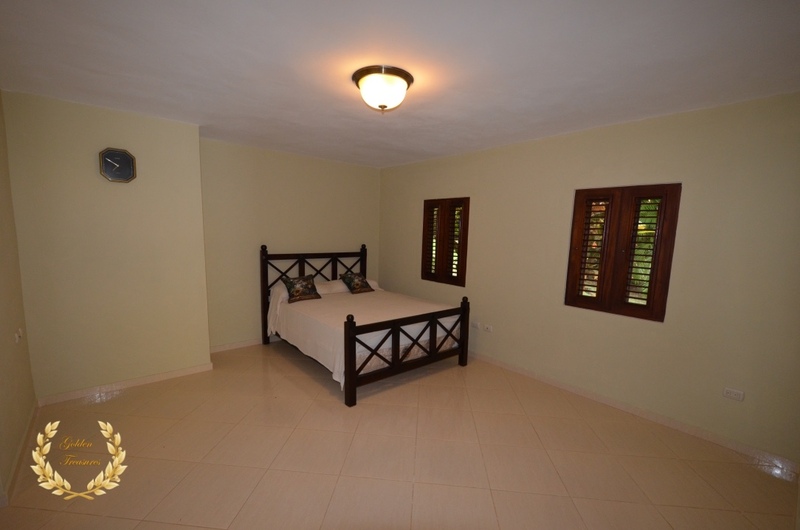 The first level has 2 bedrooms, 2 bathrooms, living room and kitchen with storage room and laundry area. 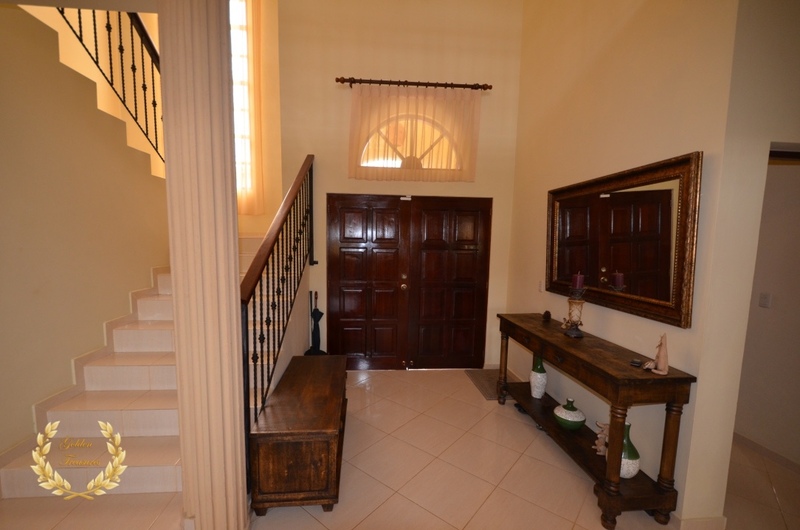 The staircase leads up to a second level mezzanine overlooking the living room and 2 bedrooms with ensuite bathrooms. 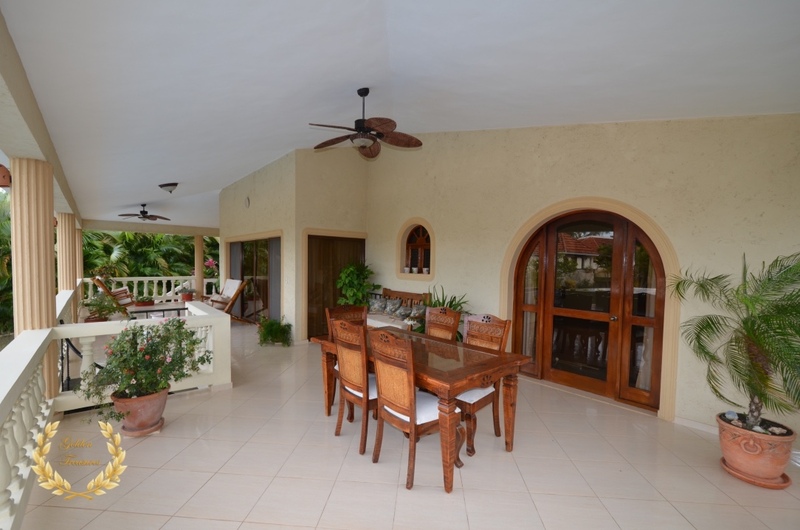 The terrace below has access to the swimming pool and a large deck with dining area. 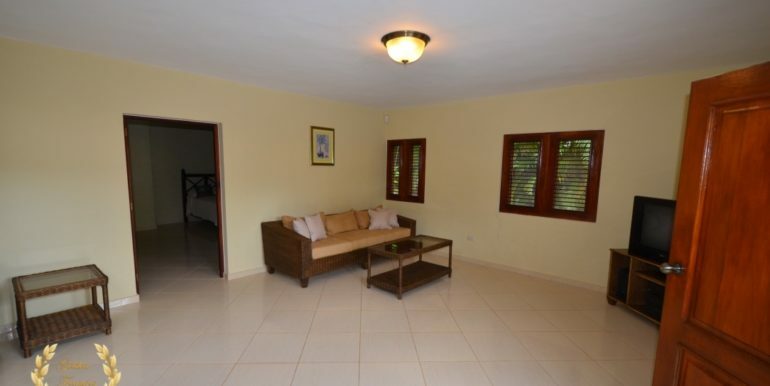 A lower level studio apartment includes a kitchenette, bathroom and living area. 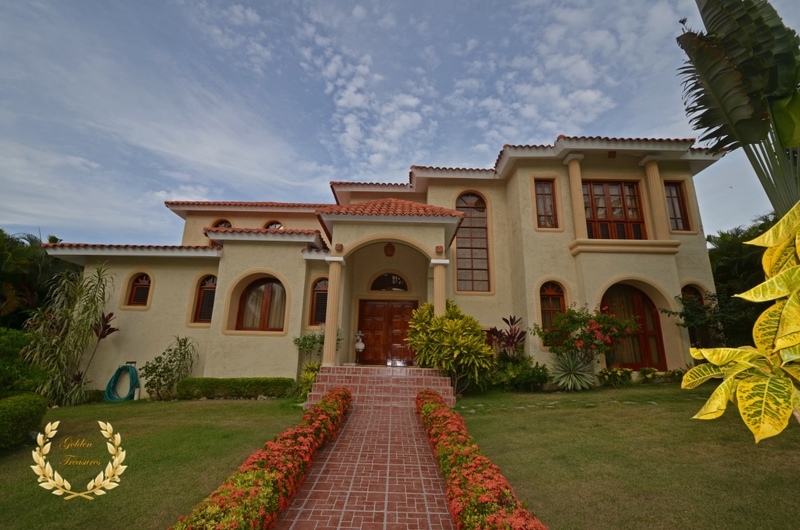 The villa includes green areas in the front and back. 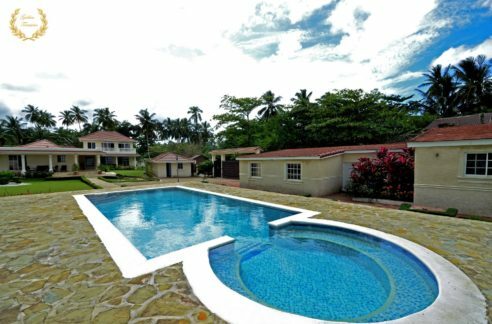 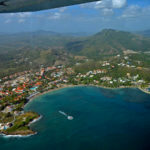 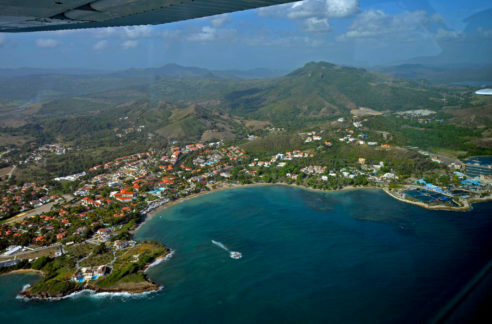 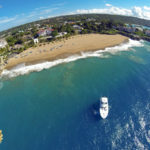 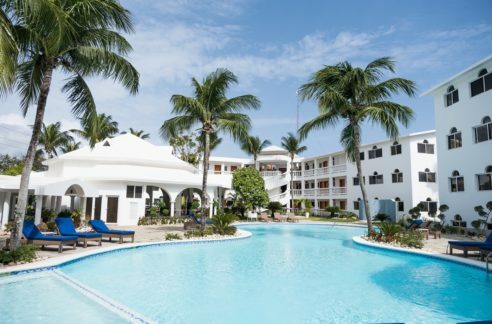 The center of Sosua can be reached in 6 minutes driving, and there is access to a gym, restaurant, water park, several beaches and spa in just a few minutes drive. 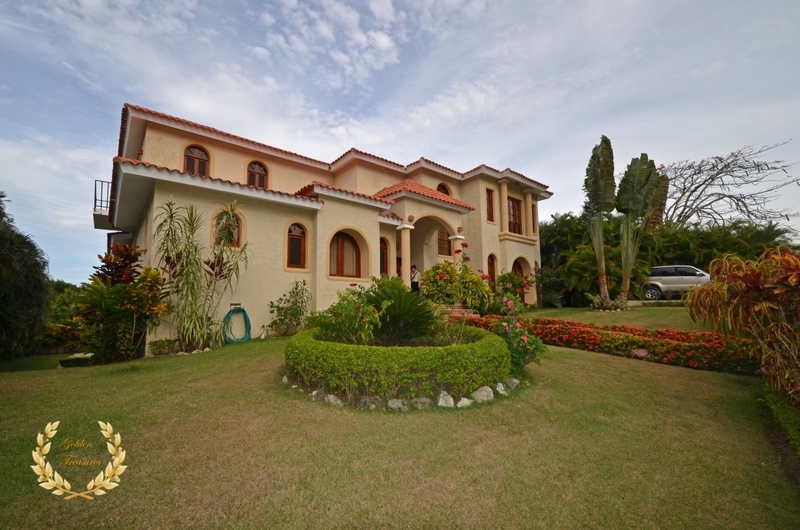 The land size is 990m²= 10656.27ft² and the house size is 438m²= 4714.593ft².